They're still doing my head/arm sleeves, but my hands, tail, and feet are done!! I'm only posting the tail pic for now (I'm excited to see my head when they get more done on that) because you just should see how pretty these furs are. Very lucky to get a suit from the Mischief Makers. There suits are beautiful. Have they been sending you WIP pics of the head? I'm glad you asked!! 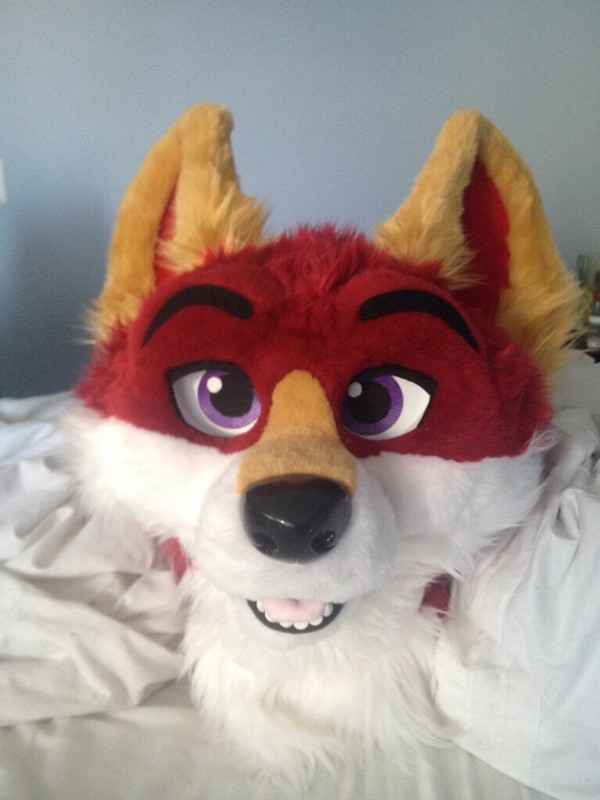 They actually sent me a question earlier asking about face markings, which included some pictures. is the best pic. 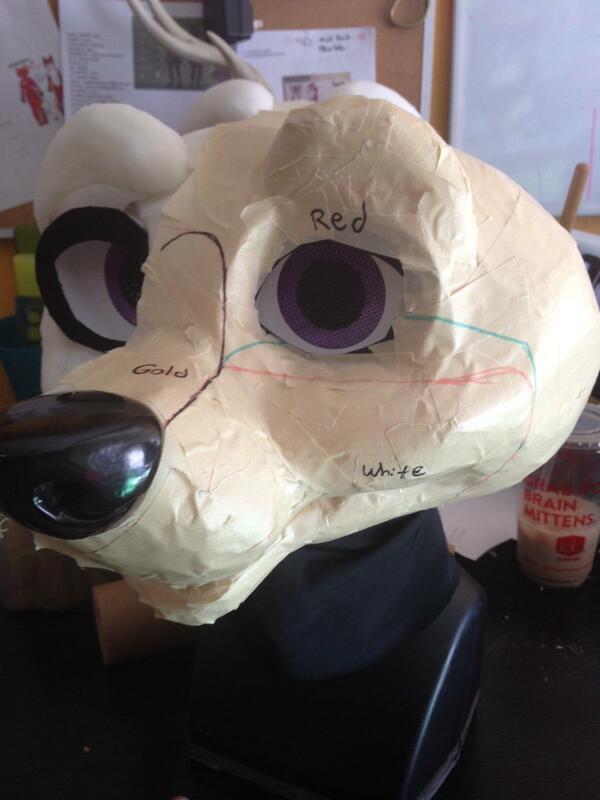 It's kind of creepy without the fur TBH but I'm so excited. I too like seeing foamwork. I should be able to wear my glasses while I have her on too. The face marking question was whether or not I wanted the white fur to go to the pink or blue line. I said I liked the pink better. That's all I'll post for now I don't want to spam this with too many pics at once. Here are the updated pics of Krowdon from Mischief Makers!! They're gonna take pictures of her on a model later, so you'll be able to see the whole suit together later this week. I think she's really pretty. Omg she's gorgeous! The red and gold furs are stunning and the purple of her eyes looks fantastic too. The Mischeif Makers did a great job on her. I can't wait to see more photos when you get her! I still haven't gotten her yet, but another update. 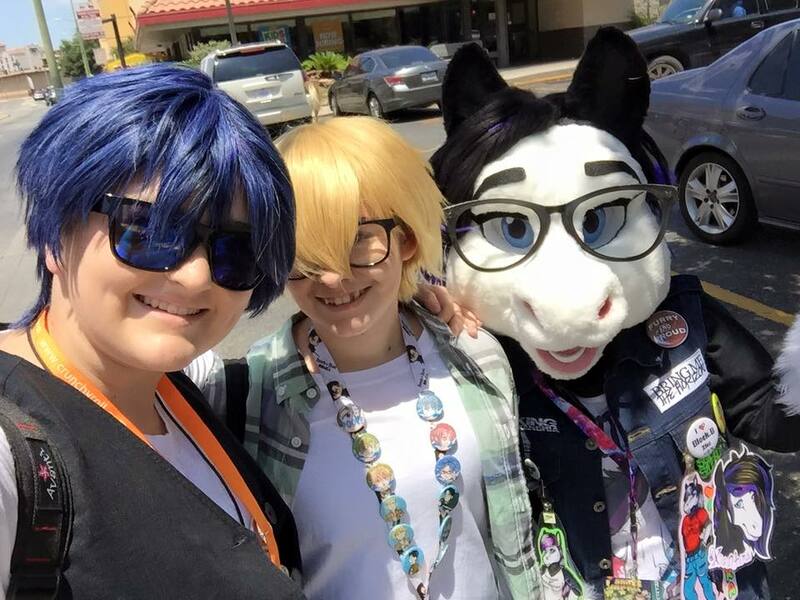 IDK if you guys remember, but I mentioned that MM told me that they wanted to try and craft some glasses for Krowdon?? Well they did a fantastic job at it. I told them the shape I wanted, which was similar to the glasses I own IRL, and they rolled with it. That looks really nice, but did they say what the glasses are made out of? They did not. I will ask!! it's a flexible but stiff... thing. Lol. It feels like stiff felt. Think it's a type of interfacing? They will be removable too! Man...its been awhile...anyone remeber me? 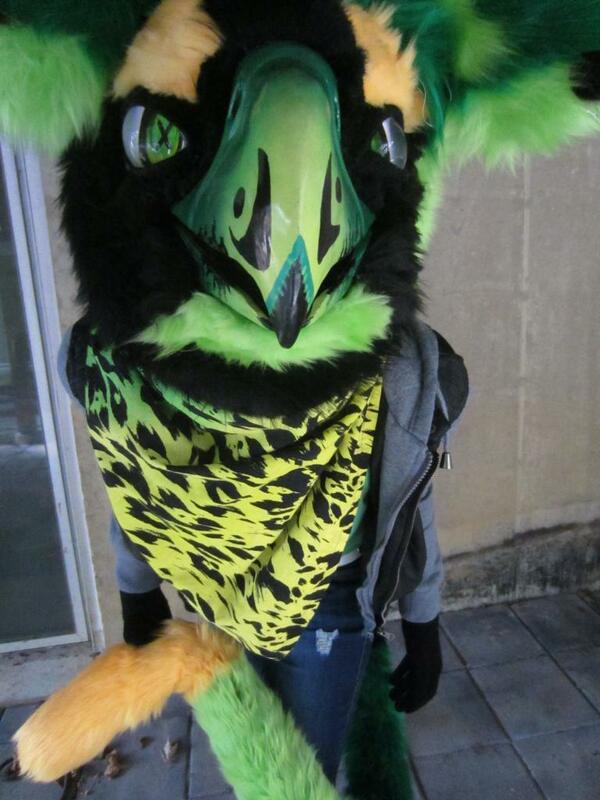 newest member of my fursuit family ;v; this is a'kii the gryphon! Jezuz ricst that's amazing. How did you even get that?? Really wanting a full suit of my second sona Morale from lightning vampire wolf on FA. Gahh, Krowdon, your suit looks amazing so far! 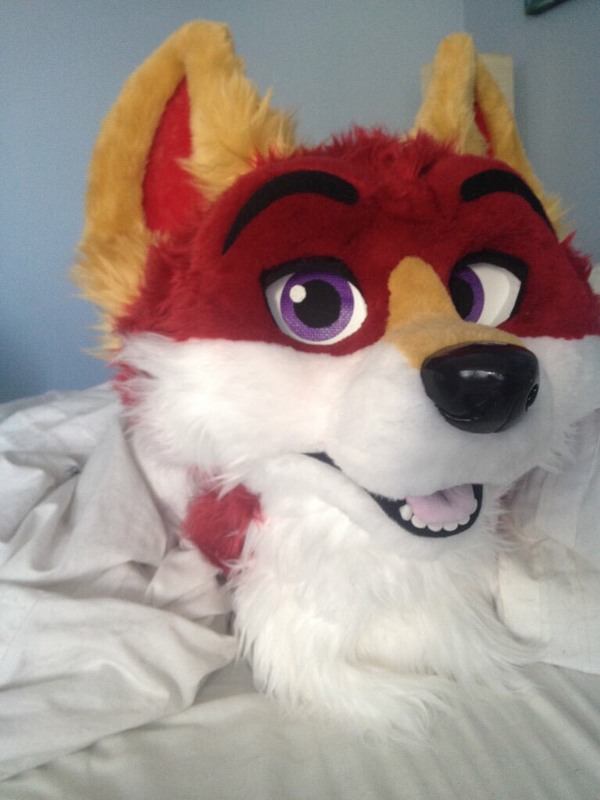 I really hope to get a fursuit in a year or two. I'm thinking I'm going to commission my first suit from Velveteen Soldier because her prices are so low, but I freakin' love the way she does cats! Velveteen makes really cute suits! 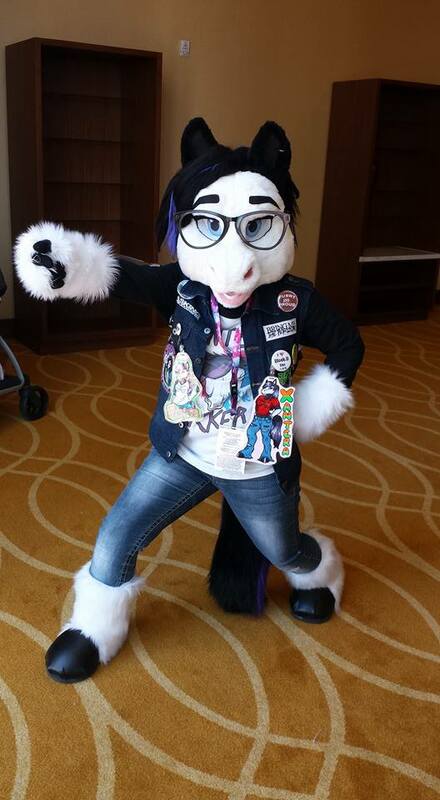 I really want a fursuit of Iko. I'm planning on getting it from Autumn Fallings once I'm old enough (and probably in or done with college). 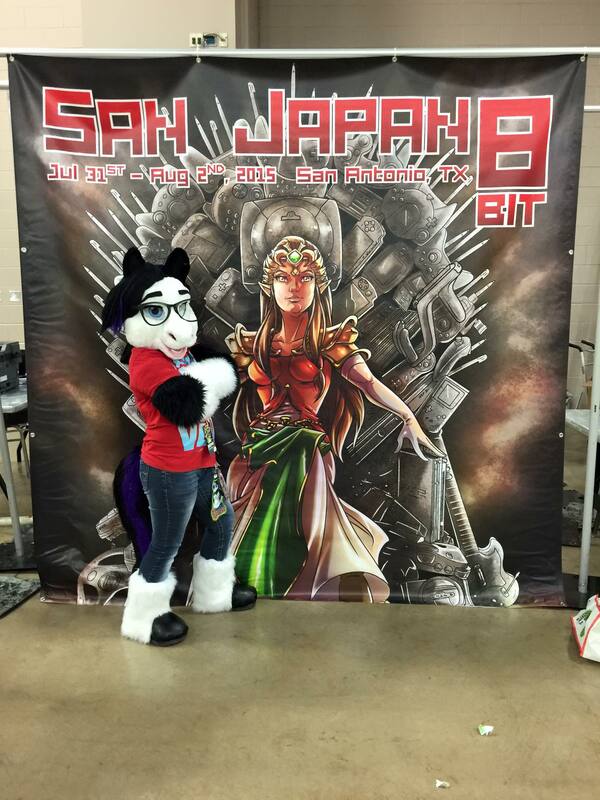 I also want my two other fursonas Spike and Kaiju, but they can wait. Geez, I'm getting ahead of myself XD! 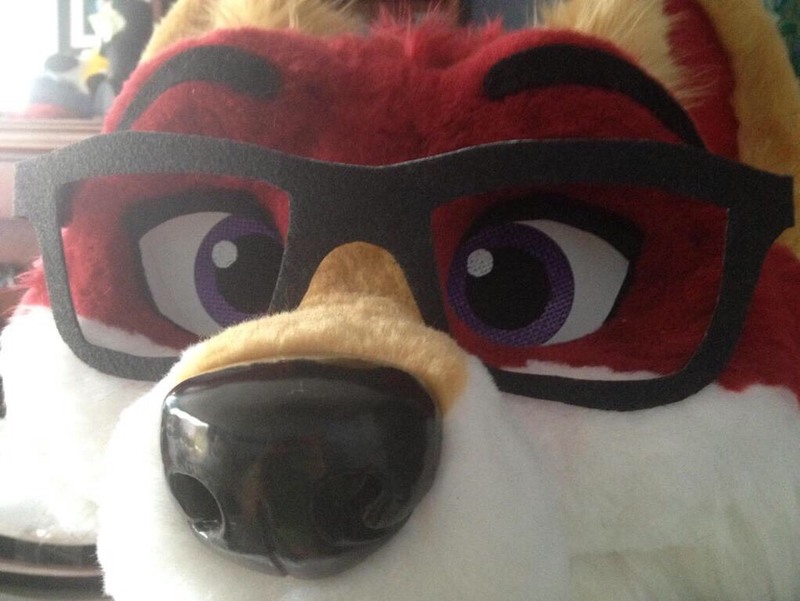 I haven't even told my family I'm a furry yet!